Xarno is the Unified Force Academy’s battlemaster and lightsaber instructor. 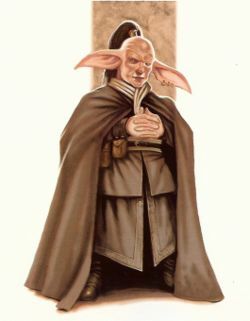 While Ylona teaches students how to properly use the Force to defend themselves and definitively end conflicts, Xarno focus on teaching his padawans how to win battles by relying on their internal connection to the Force. A veteran of the Great Sith War, but as a soldier rather than a Jedi, he excels at combining Jedi doctrine with practical experience. A seemingly serene Jedi, Eveningstar is in fact a study in intensity. She is well on her way to mastering the arts of battle meditation, and has a seemingly innate understanding of how the Force can be use to resolve conflicts. Her classes at the Unified Force Academy on Zebulon Beta are legendary among younglings and padawans for the amount of bruises and concussions her students endure. She is a veteran of the Great Sith War. Lornn Varri is the Unified Force Academy’s lead field instructor. 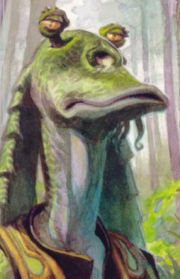 He trains padawans in survival and tracking techniques, and then arranges many of their field training exercises. Lornn is an accomplished tracker, and is known to decamp for Zebulon Prime from time to time for month-long journeys aimed at keeping his considerable skills sharp.